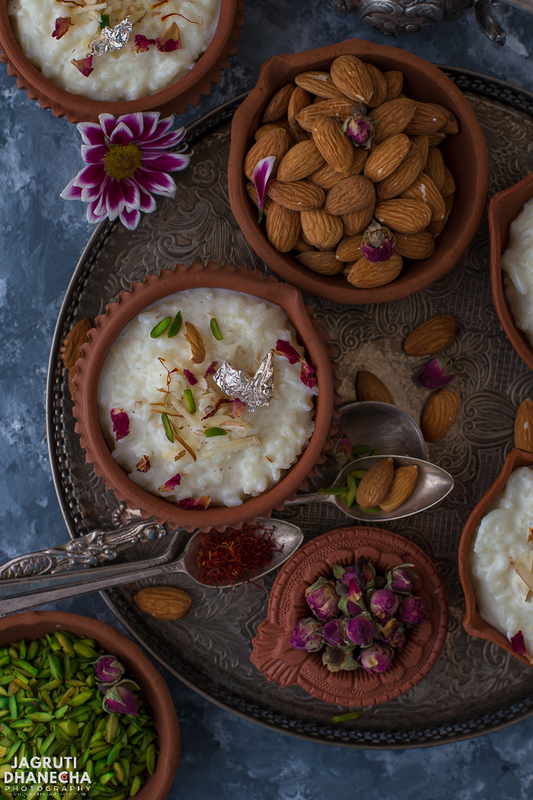 How to make Kheer in Pressure Cooker | Kheer - Indian style rice pudding is one of the oldest and classic Indian dessert or pudding you can find that is utterly delicious and divine. 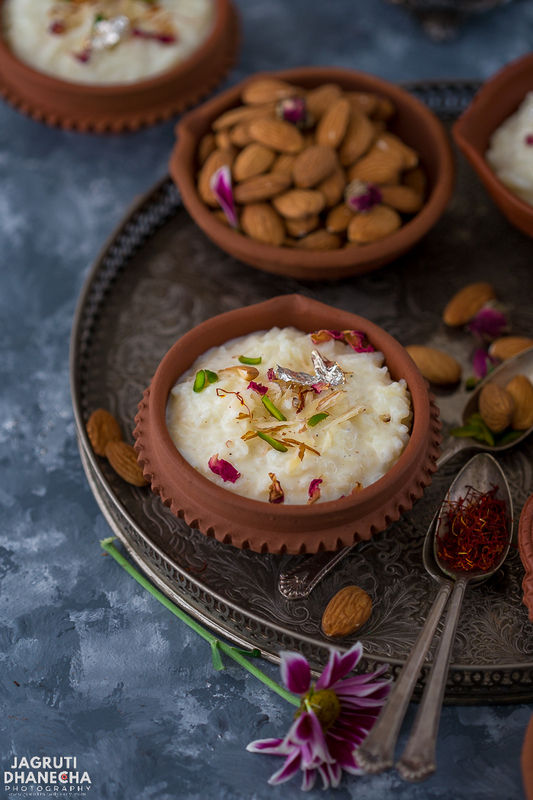 A dessert that is made from staple ingredients such as milk, rice and sugar, but once flavoured, this creamy and rich dessert with cardamom or saffron and adorned with slivered nuts and garnished with edible silver foil, this Indian dessert is fit enough for a royal menu. 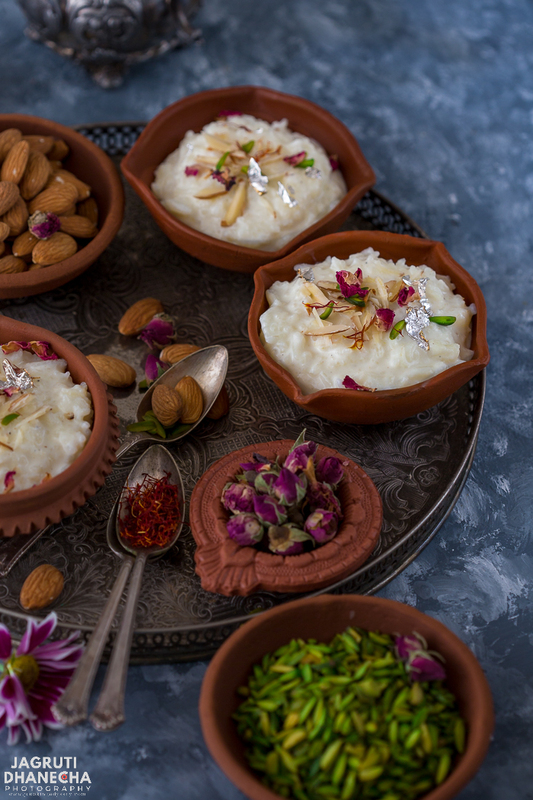 We Indians have a soft corner for kheer, one of the most common and popular homemade dessert made with love and lots of effort and eaten till the heart's content. 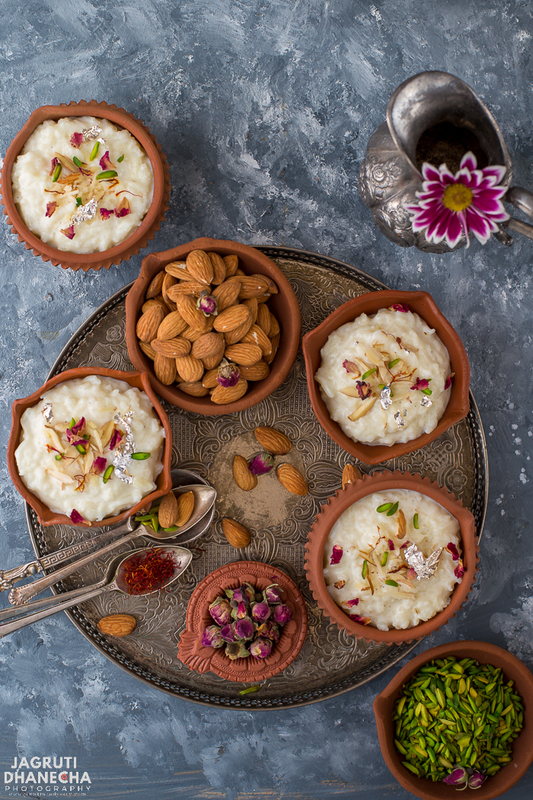 Whether there is a small prayer in the house or celebrating festivals such as Diwali, Holi, Raksha Bandhan or Navratri or just having small get together with the family there will be a plenty of bowls of Kheer with Poori vanishing in the thin air. Kheer is such a delightful soothing and soft dessert that anyone can enjoy no matter if a baby or 80 years old. Kheer is a fairly simple dessert to make but needs a good amount of time, energy and concentration. It is a slow-cooked dish that you don't want to shift your attention for even a few minutes from it, else you'll see a nothing but a burnt mess. Traditional Kheer is made over the stove by boiling whole milk, then soaked rice and sugar added and simmered till you get thick and creamy kheer. It can be flavoured with cardamom, actually, cardamom helps in digesting the rich and heavy foods. It is finally garnished with the chopped nuts of your choice. Since the stovetop pressure cooker, a handy and useful kitchen gadget for every cook in India, arrived in our homes with its recipe books, there was one recipe which caught everyone's attention, it was Kheer. I clearly remember when my mum bought a Hawkins pressure cooker 6litre one, she prepared a kheer using this pressure cooker and could not praise it enough, since then the only way she made kheer was always in a pressure cooker. So obviously, I picked up that method too. One may have a question about the taste and texture, but this pressure cooker method kheer tastes as delicious as the traditional one, it's creamy, rich and irresistible only with minimal efforts, just eliminate sweat and stress, no slaving over the stove and stirring for hours. Don't you think it's a win-win situation for you guys! While the western world uses short grain rice such as rice pudding rice or arborio, for Kheer Indians use mostly Basmati rice, although some prefer short grain rice with Indian varieties such as Gobindbhog rice which is short grain, sticky and aromatic. For kheer, it works both, but I prefer sugar. somehow with sugar, the original taste retains same. Some use both so really whatever is your preference. Use any plant-based milk and omit ghee. Also, use vegan sugar. You'll need a 5litre pressure cooker to make kheer for 4 people. Try not to use a small pressure cooker as there is a chance that the milk mixture will overflow. Rice - A staple ingredient can be found in any kitchen. For this recipe Basmati is perfect but if you don't have any other white rice would do the job. Milk - For a rich and creamy taste and texture whole milk required but if you don't have it then semi-skimmed or skimmed will do the job, you may want to add single or double cream or evaporated milk works so well too. Sugar - Normal granulated sugar. To enhances flavour the kheer you will need aromatic spices such as cardamom and saffron ( I don't like to add saffron while kheer is cooking, but like to garnish with it. ) Almonds, pistachio, or cashew nuts are perfect. Some people fry the nuts but I like to add raw. Now that you have this delightful dessert recipe and that too with a fuss-free method, don't hesitate to whip it up at the last minute for any festivities, for unexpected guests or when you crave for something sweet! Bring milk to a boil in a pressure cooker without closing the lid. Add ghee, sugar and washed rice and stir the mixture till sugar dissolves in the milk. Close the cooker with the lid and bring it up to full pressure, reduced heat to low and cook for 10-12 minutes. Open the lid and stir the kheer, add cream or evaporated milk and cardamom. Place the cooker once again on a heat and simmer ( without the lid) the kheer for a couple of minutes more or until it reaches a creamy consistency. Serve hot or cold in a serving bowl, garnish it with slivered pistachio, almonds, saffron threads, edible silver or gold foil and edible rose petals. See Method 2 in the recipe box. This creamy, divine and moreish kheer is prepared is prepared in handy kitchen tool, Pressure Cooker, but it is as tasty and delicious as the traditional kheer. Wash the rice and place it into the pressure cooker along with 2 cups milk and ghee. Cook the rice for 2-3 whistle. Let the pressure cooker cooled down naturally. Open the lid and add remaining milk, cream and sugar. Simmer the kheer mixture for 5-7 minutes or until the right consistency. Add cardamom powder and half of the nuts. Serve hot or cold in a serving bowl. Garnish it with saffron threads, remaining nuts, silver foil and rose petals. Enjoy on its own as dessert end of any spicy Indian meal or serve in a thali along with deep fried fluffy bread Poori. WOW! I am overwhelmed to receive this award! 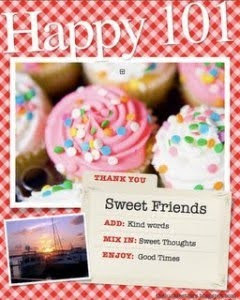 It's a really nice surprise from my friendly fellow blogger Renuka, http://cookingyummy.blogspot.com/. 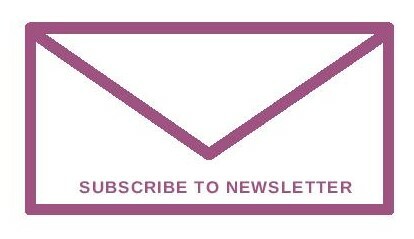 Thank you for keeping my blog in mind- its very much appreciated. Thank you, also to everyone who has visited my blog and helped it to grow. Your encouragement and kind words have brought me a lot further than I hoped in my first 3 weeks of blogging...! Enjoy the award and enjoy the weekend. Kheer looks yummy, you can do it in the microwave too. yum and delicious kheer.I am coming over.Keep some for me. wow..happy 3 weeks and congrats on your award..thanks so much for sharing it with me, means a lot to me..may you be showered with many more such awards..the kheer is perfect for the celebrations..cheers. Hi Asha;i have made kheer in microwave as well, i use this method when i make kheer for lots of people..
Congratulations for your first award. May there be many such awards to come. Perfect way to celebrate this award with jhatpat kheer. Thanks Deepa,Sushma,Vrinda and HR..so kind of you all..
Jagruti, this is my first time here, totally impressed at the regularity with which you post! Kheer is always welcome, sounds delish!! Jagruti Congrats!! on well deserved award!! many congrats to you for recieving an award,you quiet rightly deserve it,you have worked hard on your great blog,keep it up. the latest recipe of yours-sun dried tommato bread look really mouth watering,cant wait to have a go. congrats for the awards and enjoy it . thanks for thinking about me :)..
very jhat-pat kheer but sure looks delicious..
Congrats Jagruti, and lovely kheer. I too made one recently. Your process is quite differnet. Dear Jagruti - Congratulations on your well earned first award. Great way to celebrate with your Awesome and inviting Jatpat Kheer. Thanks for visiting my blog.Visited ur blog at the right time and I could participate in ur celebrations of the award as well.lol. I'm impressed by your blog. Very beautifully done and have great collection of recipes in such a short time. Will be following you. hai jagruti..congrats for the award...Eeven I would like to give you an award..Please collect it from my blog. Congrats Dear and as well I have an award waiting for you in my blog. Please do come and collect it. hey..congratulations on your very first awards...may you have lots more !!!! kheer is alltime welcome !!! Heartiest congratulations to you for your award. Kheer looks yummy and tempting. Congragulations jagruti..keep up the good work. Super congratulations Jagruti. Pressure cooker method to make kheer is so useful and time saving. a great idea to make kheer in a pressure cooker, never done that, with son in law coming to visit soon, will make it in the pressure cooker as he loves kheer. Thanks Mayuri, hope you guys enjoy having this rice kheer. Thanks Vanitha for a lovely comment. So true, even in my kitchen pressure cooker is always 'Most wanted' ;) appliance. This is beautiful!! Love the colorful garnishes. Gives it such a festive feel. Pressure cooker is such a boon to have and they are perfect for dishes like kheer! Thanks Ruchi! Couldn't agree more. I've had kheer within the past few months and loved it!! I'm so happy I found this delicious recipe so I can make kheer myself. It looks so delicious and creamy! Thanks Elaine, let me know if you try this recipe out. Congrats for the award.. and your quick and easy Kheer in pressure cooker looks too yumm!! Love rice pudding, but I have never tried it prepared this way. Sounds delicious, and I am always game to try recipes of the world. Love the flavour combination. What a great dessert for entertaining. Thanks Gloria, please do try it, I am sure you'll like this one. 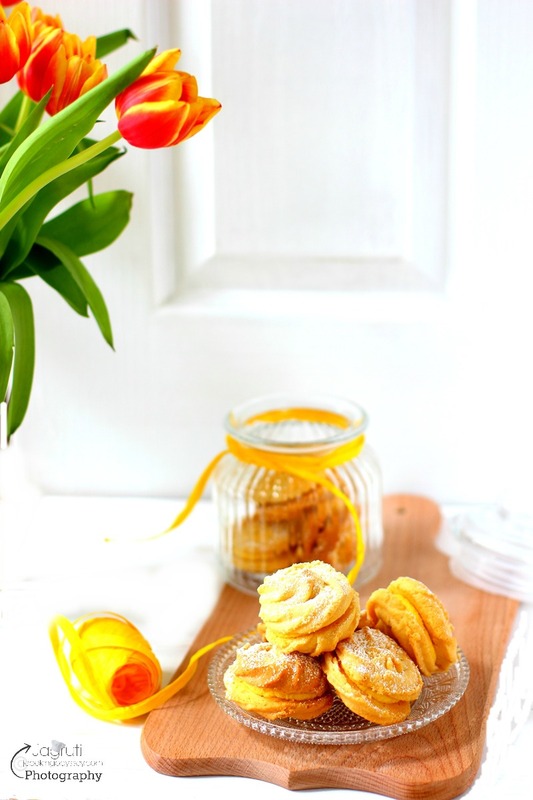 I love that you have so much information on this recipe in your post, it's very informative! Your photos are also beautiful, this looks delicious! Drooling! These are nearly too pretty to eat. 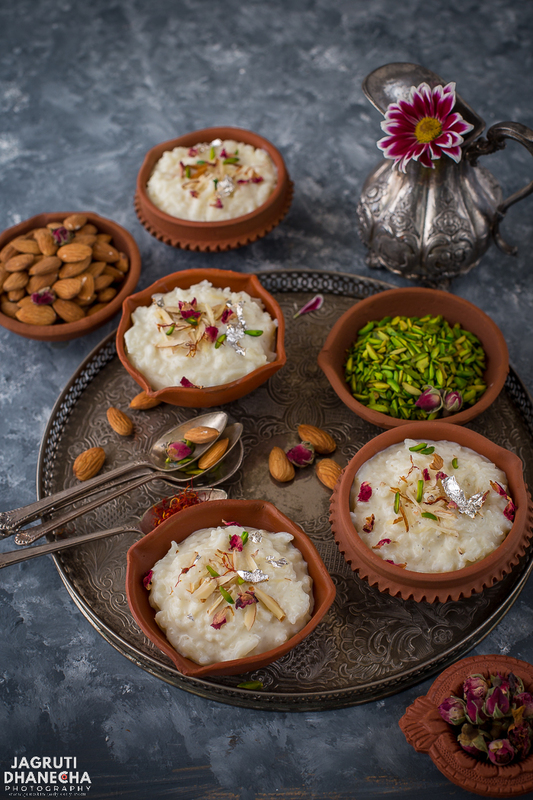 I love love rice pudding and cannot wait to try the Indian version with all the fragrant spices and crunchy pistachio. Thanks ! Simple rice Kheer is always my fav and this is my go to method when I lack time. Beautiful pictures and well explained post. Congrats dear for the award. Kheer looks absolutely delicious and tempting. I never made kheer in pressure cooker. Definitely going to try this. That's a good idea to make kheer in the pressure cooker, should try it sometime. I've never heard of kheer before, but it sounds simple enough that I could give it a shot! I loveve rice pudding, but I have never tried it prepared this way. Sounds delicious and it's a great dessert for entertaining. Love the simplicity of this recipe! I've never had rice pudding!! Looks like I've been missing out! I'm so going to have to make this! I have never heard of kheer, but it looks really interesting. Loving all the flavours in this dish! This sounds so good. I love the flavors in this rice sweet treat. I must say I never tried or heard of this dish but would definitely love to give it a try. KHeer,who can deny particular any dessert lover ;) In pressure cooker it really save much time an yours looking so delicious here ! !